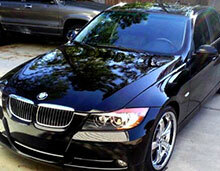 Neopol Extra shine wax gives shines and protects all ages and types of automotive paintwork. 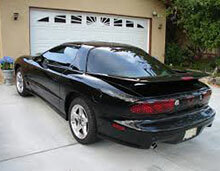 It contains polishing agents to gently remove contaminants, combined with a natural Carnauba Wax, which provides protection and a mirror like shine. Glides on easily and buffs off in seconds, with minimum effort. 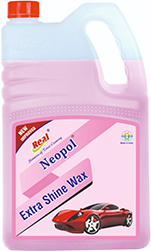 Applying Wax If you're using Neopol extra shine wax just put a small amount, liquid wax, on a clean damp sponge. You won't gain anything by putting too much wax on the sponge at a time. Waxing Don't try and wax the entire car in one go. Move section by section and keep each portion small. You shouldn't, for instance, try to liquid wax the entire hood at once. Split it into 2 sections. Buffing If the surface doesn't seem to be buffing up properly, switch to a clean cloth. This will often make the difference . Double Waxing Some pros have special car waxing techniques for that extra shine. Streaking If your finish is streaking, the best car waxing techniques suggest filling a spray bottle with distilled water and adding a ½ teaspoon of isopropyl alcohol. Spray this on the surface, and then wipe with a clean cloth to remove hazing and streaking.